The decision on corporate form can be complicated and complex. The increasing internationalisation, specialisation, planning of funding and other factors mean that there are many elements to be considered when deciding on corporate form. Other factors to be considered can include the intended risk profile, for instance. The choice will also depend on national and international tax law, which can be complex and require close scrutiny of all the relevant conditions and considerations to be had. M&S has extensive competences in all stages involving the choosing of corporate form, which is knowledge we share with our clients every day and for every case. The most unique characteristic of a limited or a private limited company is that the company – not its owners – can incur liability as a separate legal entity. A company can therefore incur limited liability, with regard to the extent of the funds generated by the company, i.e. share capital plus reserves (equity). This is why irrespective of their nature, activities in the form of a limited or a private limited company will attract the attention of the general public. This in turn explains why such companies are so strictly regulated. To a large extent, the content of Luxembourg company law is based on pan-European legislation reflecting Luxembourg’s implementation of the EU corporate law directives. It regulates the relations between companies and the outside world as well as – the relations between the individual shareholders more generally. We provide advice on all aspects of corporate law in connection with the buying, selling and restructuring of companies as well as their daily operation. This includes the legislation in respect of limited companies and private companies and the special circumstances concerning partnerships, limited partnerships and other types of companies. The major part of the Luxembourg business sector consists of companies. We have substantial expertise in all areas of corporate law and advise both large groups of companies listed on the stock exchange and companies owned by individuals. In the initial stages, we advise our clients on choosing corporate form, setting up group structures and the formation of companies. In this context, we advise a number of start-up companies in IT and other growth areas. Additionally we have substantial experience in providing consultancy services focused on establishing foreign companies in Luxembourg. When it comes to the formation of companies or attracting investors, we draw up the necessary shareholders’ agreements. We provide advice on setting up all types of associations, including joint ventures, consortia etc. Furthermore, we advise on incentive programmes that can include share options, warrants, preferred shares and other employee incentives. Finally, we have assisted a number of leading companies of this country from formation to flotation.  Attorneys from M&S are often appointed to the board of companies, from small start-up companies, family companies, group of companies, subsidiaries of foreign companies to boards of international companies based in Luxembourg. Shareholders’ agreements are a very important aspect of corporate law. Conceptually, it is nothing more than an agreement made between some or all of the contributors (shareholders) with the purpose of laying down said contributors’ rights and obligations in relation to their shareholdings in the company. The company laws and the very detailed regulation contained therein do not specifically mention or include the agreements made between the shareholders of a company. There is nothing to prevent a single individual or another company from owning the entire capital of a limited company or a private limited company. However, the share capital is usually distributed between several shareholders. In general, the company law regulates the relations between a company and its shareholders, but not the mutual relations between the shareholders. In the latter case, there is a large degree of latitude and this is one of the main reasons why there is so much focus on shareholders’ agreements in connection with the formation of companies with more than one contributor (shareholder). In addition to the fundamental points in a shareholders’ agreement containing provisions on pre-emption rights in case a shareholder wishes to sell his shares, the contents of a shareholders’ agreement range from provisions on the election and composition of the board, dividend and the parties’ rights in case of a takeover (typically the minority shareholders’ right to sell) to provisions on rights and obligations in connection with a stock exchange flotation of the company and issues in relation to competing activities between the parties. Depending on the specific situation and the distribution of shares, a shareholders’ agreement can also contain provisions to the effect that the distribution of votes – although different on paper – must be equal, perhaps over a certain period of time. Usually, the shareholders’ agreement is given a seal of approval in as much as it is agreed that in all relations between the parties the shareholders’ agreement shall take precedence when the contributors’ rights and obligations are decided on and shall – to the largest possible extent – also take precedence over the company’s Articles of Association and the company law. To someone who is considering contributing as a minority shareholder it is especially important to be certain of their rights. However just as often, a dominant shareholder will wish to secure their rights beyond the provisions of company law, despite perhaps having an absolute majority of the votes. In start-up companies a shareholders’ agreement often contains provisions that must be met in relation to the continuous technological development (milestones) before some shareholders are under an obligation to invest further. The preparation of shareholders’ agreements is an important part of MMS business consultancy services. We have a great deal of experience in drafting such agreements and in regulating multinational situations with regard to Luxembourg companies.